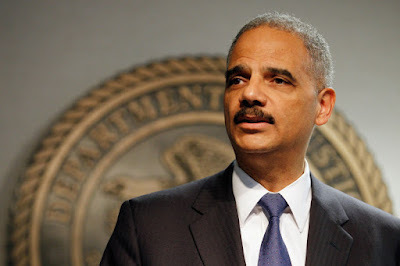 Let's hear it for Eric Holder, pictured above. He is thinking about running for President. You can read stories about this in The Hill, The Root, and The New Hampshire Journal. 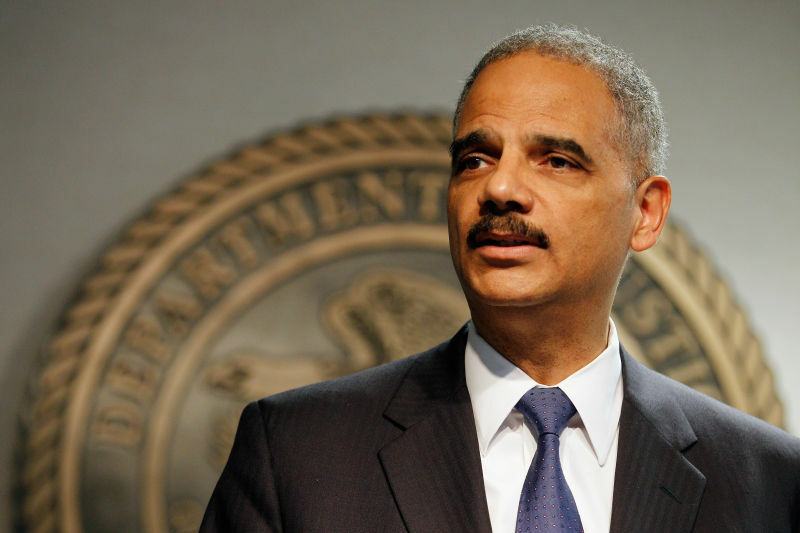 Holder, as we probably all remember, is the former Attorney General of the United States of America. He now works for Covington & Burling, an international law firm with offices in Washington, D.C.
Covington & Burling represents the rich and the powerful, particularly as they lobby for favors from the United States Government. I would not be surprised to learn that the law firm's clients include many of those bankers and financial types whose irresponsible practices led to the 2008 financial meltdown that stole billions of dollars from ordinary working men and women. You remember them, right? They're the people that Eric Holder, as Attorney General, did NOT try to prosecute. Early reactions to the Holder, "I'm thinking about running for President" trial balloon will start coming in soon. As everyone ponders the idea of Holder's possible candidacy, I would like to suggest one thing in Holder's background that should get some attention, and that might not otherwise come to mind. Holder, thinking about running for the highest office in the land, has never held elective office as a public official directly responsible to voters. He has been responsible, instead, to private clients, particularly the rich and powerful kind. Of course, our current president didn't have any kind of previous experience as an elected official, either, which might actually be relevant as we think about who should come next. Why should we care about past electoral experience? Well, if we actually believe that our elected representatives should be directly responsible to the people who elect them (and I actually do believe that), then it would be good to consider electing people who have some practice in being subject to voter direction. I think it's a plus for candidates really to understand that principle because they have personally experienced what it means to be elected by, and to be responsible to, the voters. One of the reasons I really liked Bernie Sanders, as a candidate for president in 2016, is that his personal history in political life began with running for, and being elected to, the office of Mayor in a small American city. 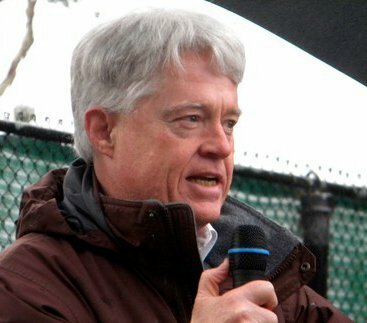 He worked his way up from local government to the United States Senate. In each position he held on the way up, Sanders had to get directly elected by the people. There are some important lessons that come from that kind of experience. The article previously cited, from The Root, lists ten people whom The Root believes are top candidates, on the Democratic side, for the 2020 presidential nomination. Only one of them has no previous experience in electoral politics: Eric Holder. It is important that talented and committed people contemplate, and then undertake, the difficult assignment of running for public office, and then serving in public office. Politics, today, seems so dirty and corrupt that good people hesitate to become candidates. That is not good. Good people should run for political office, and that includes Eric Holder and many others. My advice for candidates (but especially for the voters) is that candidates for high office should get some experience in a lesser elective office first. In other words, potential candidates should aim high, but get some experience before going for the gold ring. Try starting at the bottom, or down a few rungs, before you run for president! I still like that Mayor to President model, too!